The U.S. Fish and Wildlife Service have added seven species of bees to the nation’s endangered species list as of October 1st, 2016. Despite the commonly held opinion that honeybees and other bees are in danger of going extinct, Virginia Tech researchers theorize that the native Hawaiian yellow-faced bees do not reflect other bee statuses around the globe or provide accurate measurements to scale from, and the public should not be concerned about species extinction. Beekeeping has become a growing craze over the last few years. At Virginia Tech, for example, a growing group of enthusiasts are working to teach people how to protect native bee populations and how to start beekeeping. 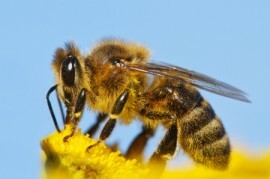 Mark Chorba, an apiculturist (someone who raises bees), is the former president of the New River Valley Beekeepers’ Association, and he admits that his first thoughts on the news of the yellow-faced bees going on the endangered species list was that it was a sly attempt to propagate bee culture and secure the safety of more bees. James Wilson, a Ph.D. student in Virginia Tech’s Entomology Department, defended his dissertation on pollinators, pests, and their influence on gourd production in Virginia. He was hired as the new apiculturist, and he wants to spread awareness about differences in bee families. Although the honeybee is in a different classification, both Chorba and Wilson agree that the publicity is a blessing for bees and shows the frailty of native bees can be researched to possibly find long-term prevention of extinction. Where to buy Manuka honeyManuka Honey Apple Bread Pudding for Fall!